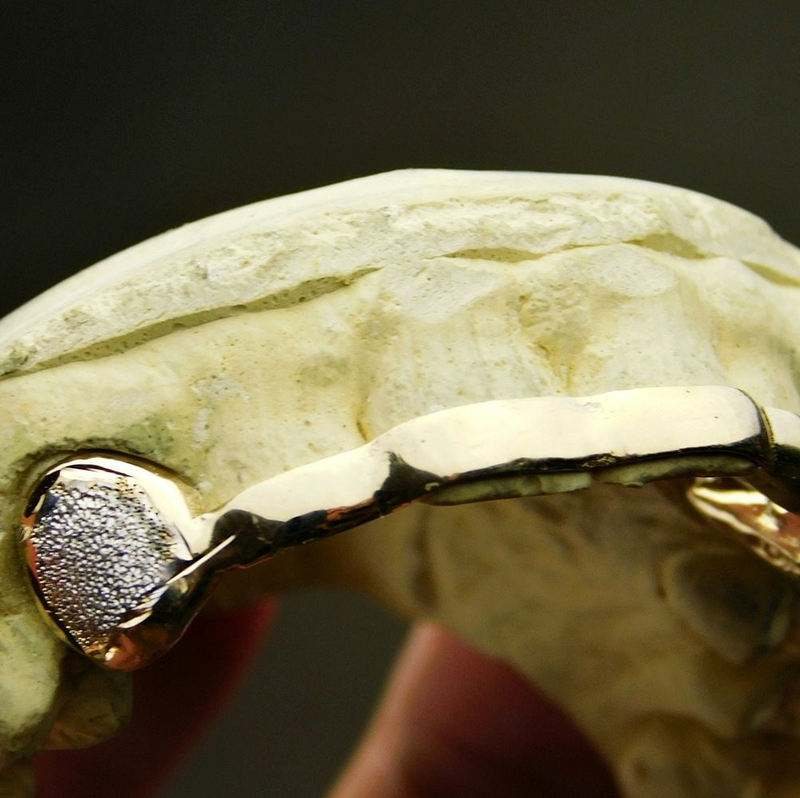 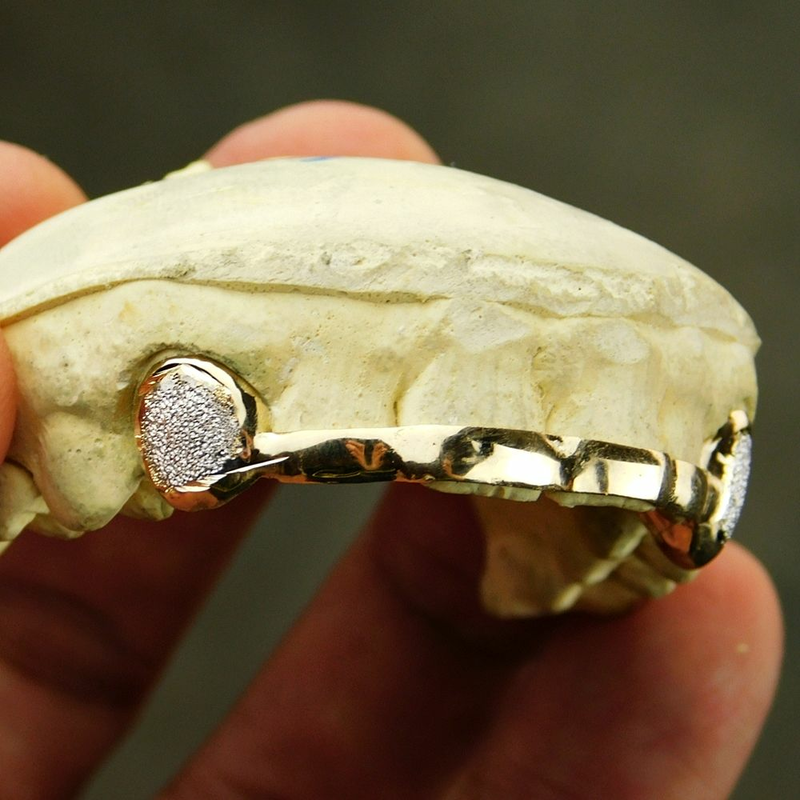 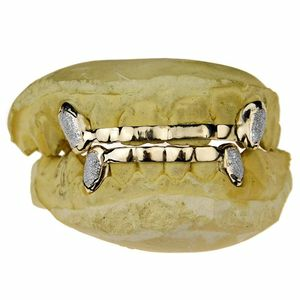 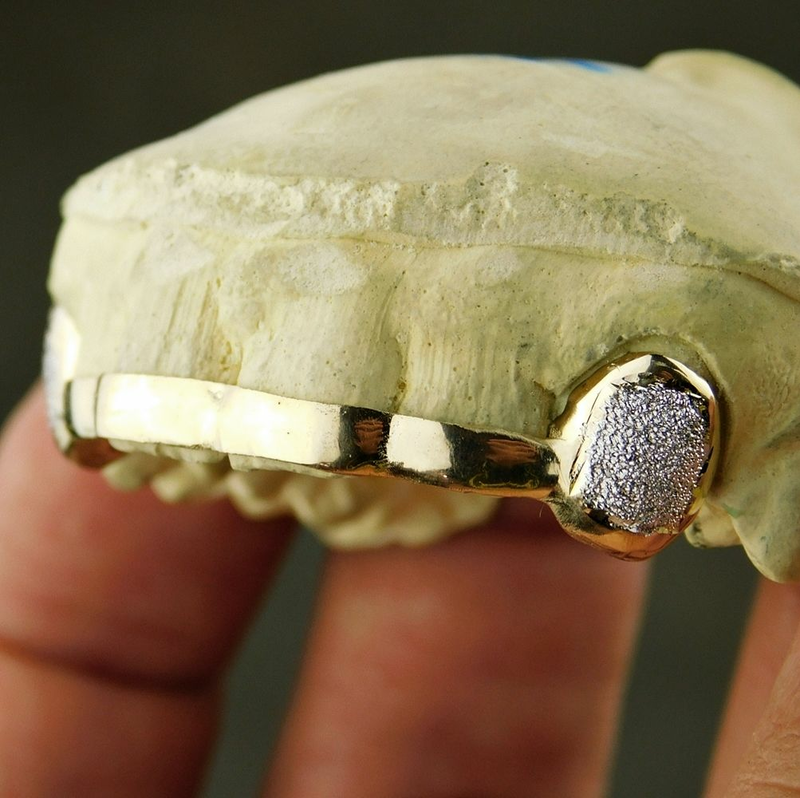 Gold plated 925 silver K9 teeth bar grillz. 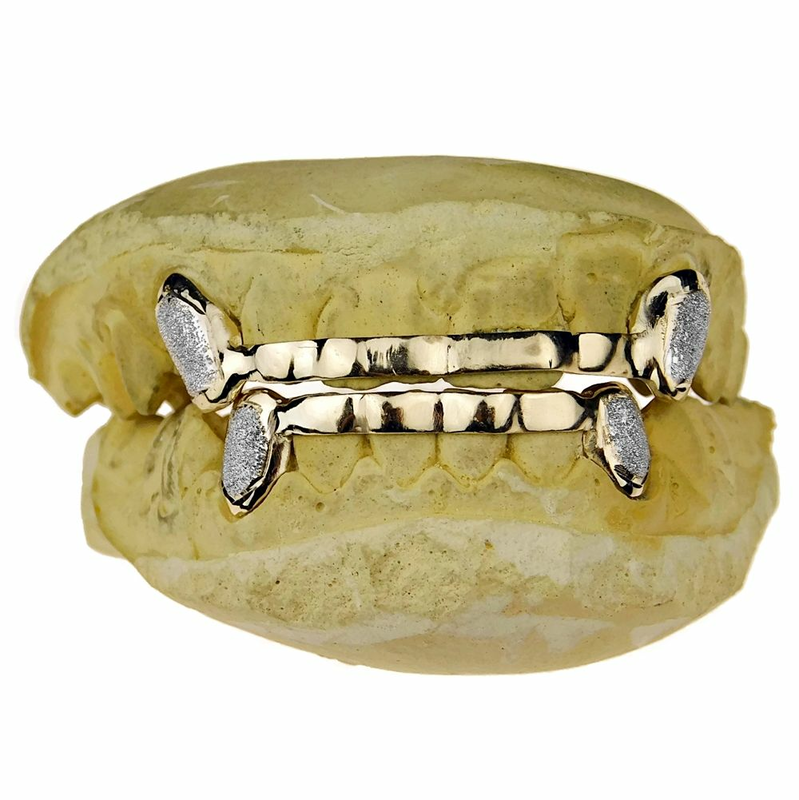 Set features a stylish visible front bar. 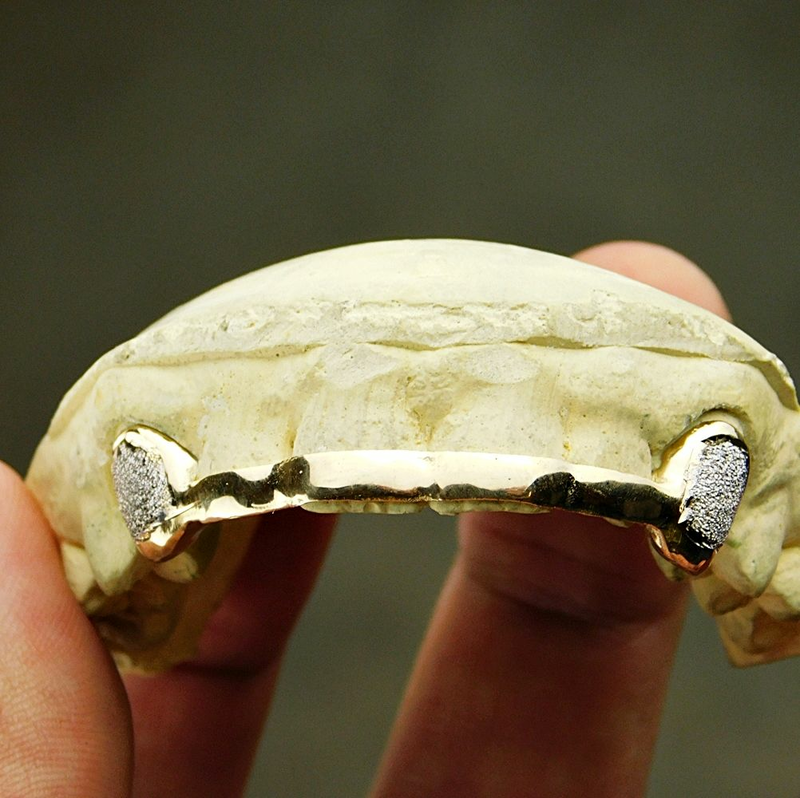 Choose set of 2 top or 2 bottom teeth.